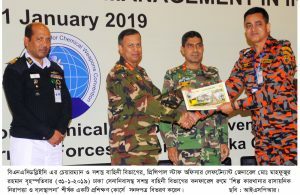 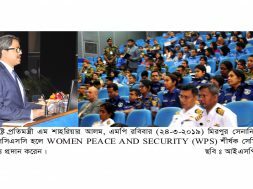 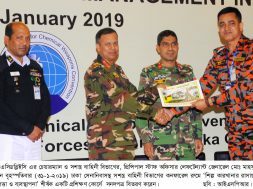 Dhaka, 31 January 2019 :- The Closing ceremony of a two-day long (30-31 january) training session on “Chemical Safety and Security Management in Industry” was held at Armed forces Division (AFD), Dhaka Cantonment on Thursday (31-1-2019). The training ended today (31 january 2019) with a certificate awarding ceremony. 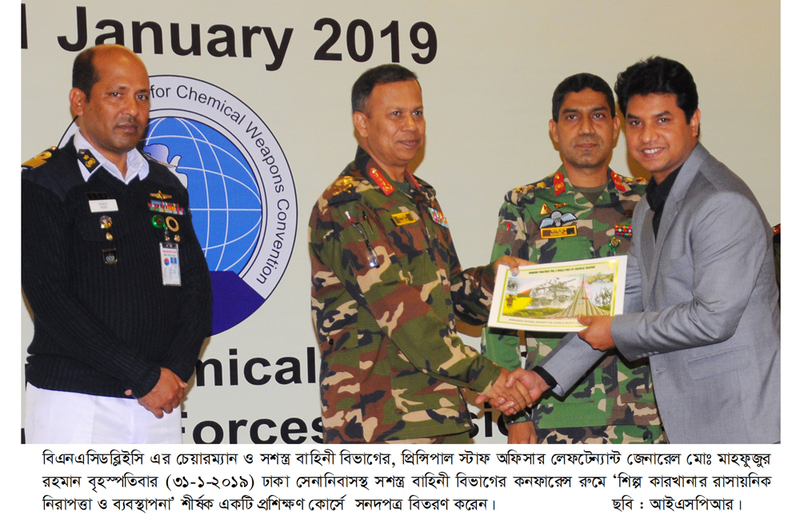 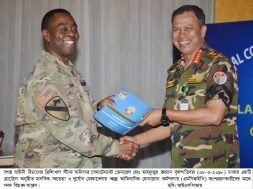 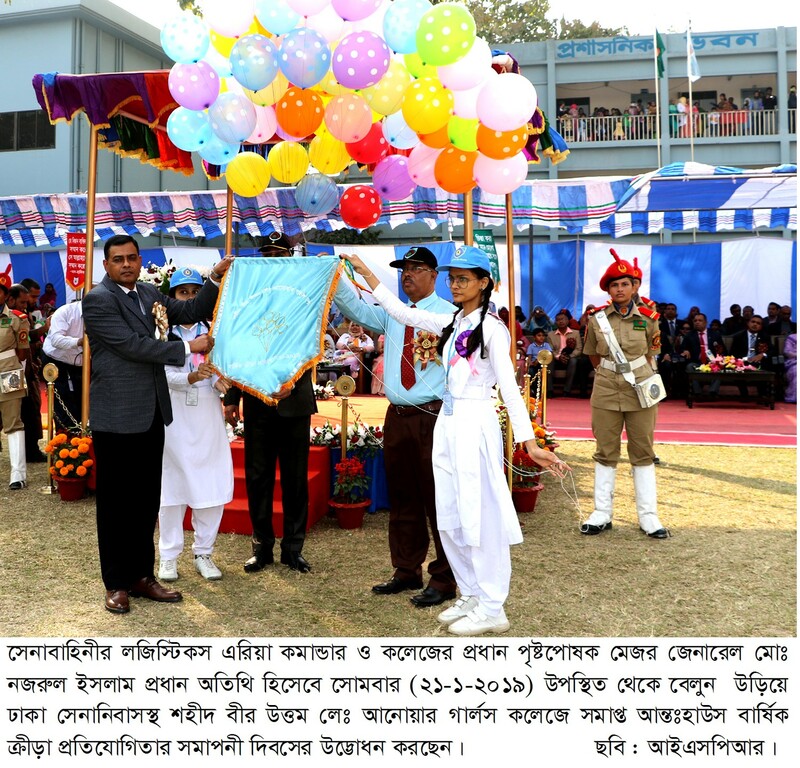 Chairman, Bangladesh National Authority for chemical weapons convention (BNACWC) and principal Staff Officer, AFD Lieutenant General Md Mahfuzur Rahman, was present as the chief guest of the ceremony and delivering his closing remarks. 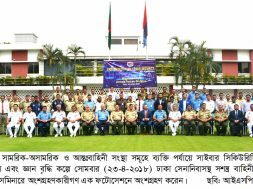 High officials from different government, non government organization and industries were present at the ceremony. 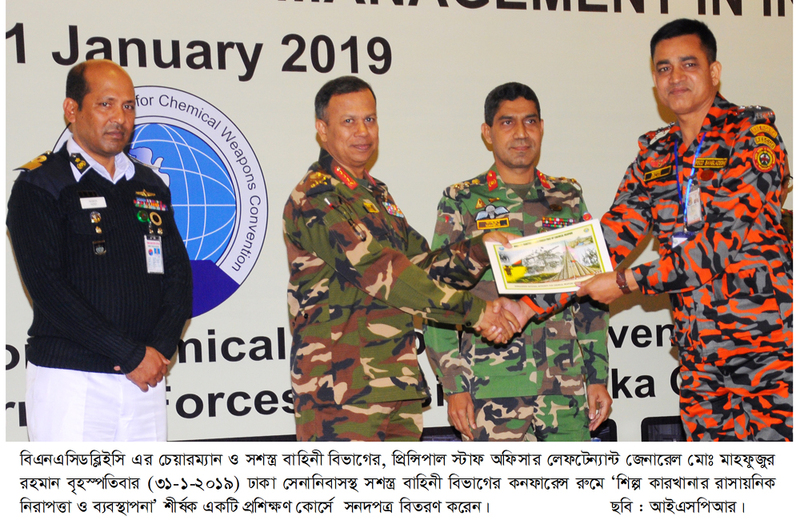 The subject training was organized by BNACWC with the intention of growing a sustainable chemical safety and security culture in industrial sector. 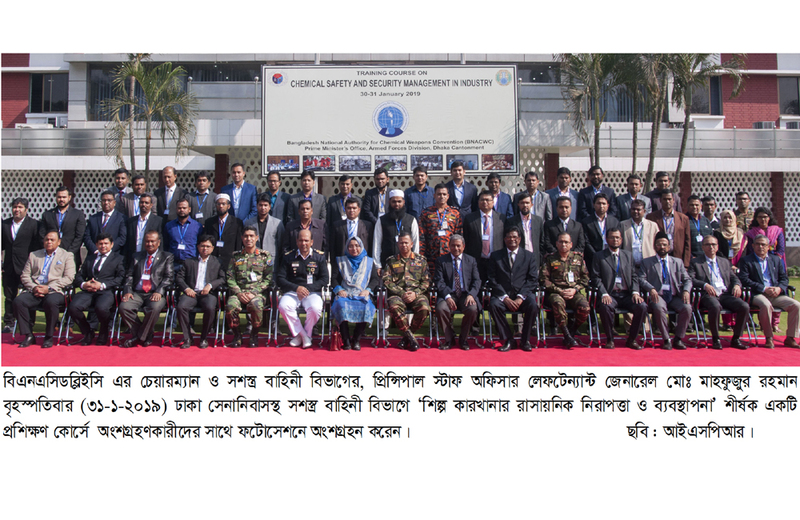 The training featured group exercise, presentation and valuable lession from eminent scholars and qualified instructors from relevant fields. 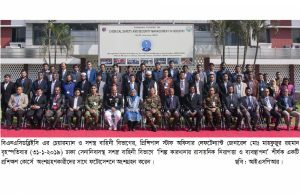 Total 40 Chemists and Chemical Engineers related to chemical management from different reputed industries, officials from various government and non-government organizations participated in this training event.